12:13:00 PM I've used DNA from Anglers and Crystal Snakes. It makes good pets for the beginning bioengineer and the specials of strong poison and intimdation are good too. 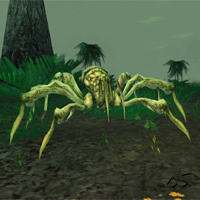 11:09:00 AM An awesome pet, primarily for the strong poison attacks you can do with 3 of them at master creature handler.